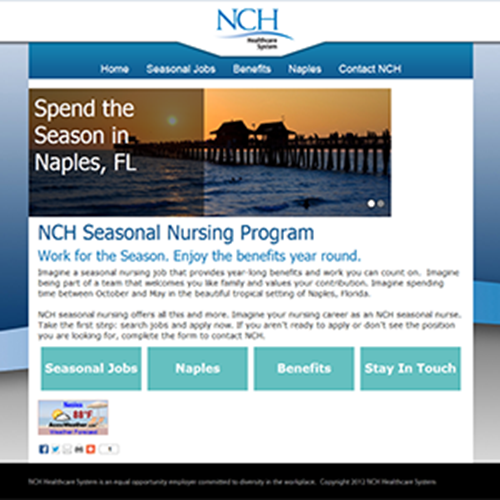 When NCH Healthcare in Naples, FL wanted to promote their Seasonal Jobs for RNs they turned to Fusion Marketing. We designed a three month program to build a pool of qualified candidates. This campaign has exceeded expectations and resulted in improved seasonal staffing. The primary target audience for this campaign was the pool of Travel Nurses in the US who are interested in working in a Florida location. Nurses interested in seasonal work search Google and other search engines for "travel nurse jobs" as opposed to NCH's job title of "Seasonal RNs." We recommended that the position title be appended to include the words "Travel Nursing" in order to appear in each engine results. Fusion designed a program to build a pool of candidates to hire for the upcoming season. 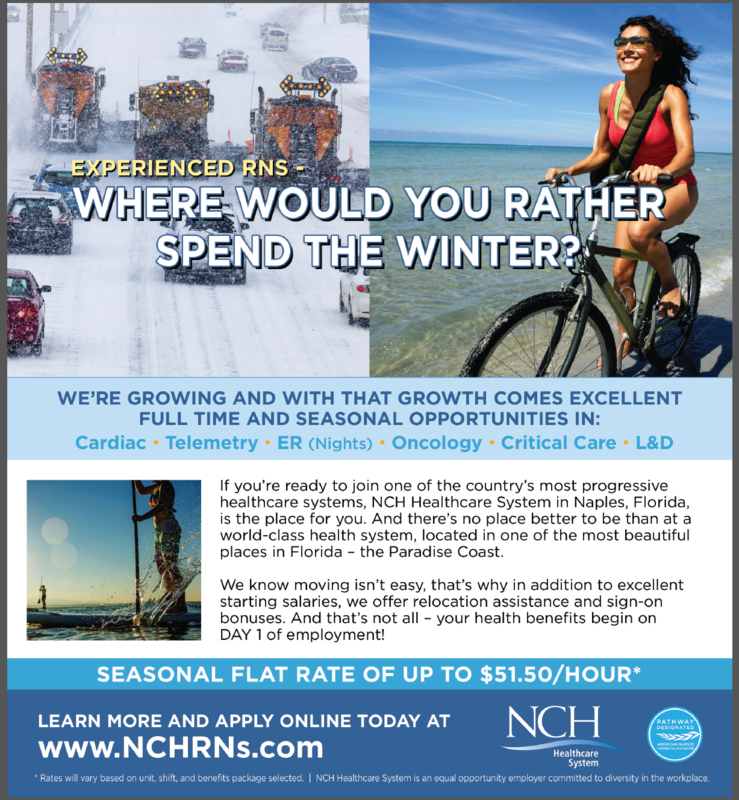 The NCH Seasonal RN Job was positioned as "The Antidote to Travel Nursing" in order to capitalize on the extensive benefits, quality housing and single location aspects of the program.